Musei Capitolini, situated in a piazza designed by Michelangelo in 1536, helps visitors to appreciate the many layers of the city’s cultural heritage. This site is actually a group of art and archaeological museums, housed inside palaces recognized as some of the city’s finest examples of medieval architecture. The history of the museums can be traced to the 15th century, when Pope Sixtus IV donated a collection of ancient bronze sculptures to the people of Rome and installed them here. Since then, the museums’ collection has grown to include a large number of ancient Roman, Greek, and Egyptian statues, as well as inscriptions, jewels, medals, mosaics, and coins. The museums’ extensive compendium of art includes a huge number of medieval and Renaissance works, including masterpieces by Bernini and Caravaggio, among many others. There’s so much to see here, one visit may not be enough. The ticket office is situated in the piazza, but you can also book your tickets online. Using our international travel planner, Rome attractions like Musei Capitolini can form part of a personalized travel itinerary. 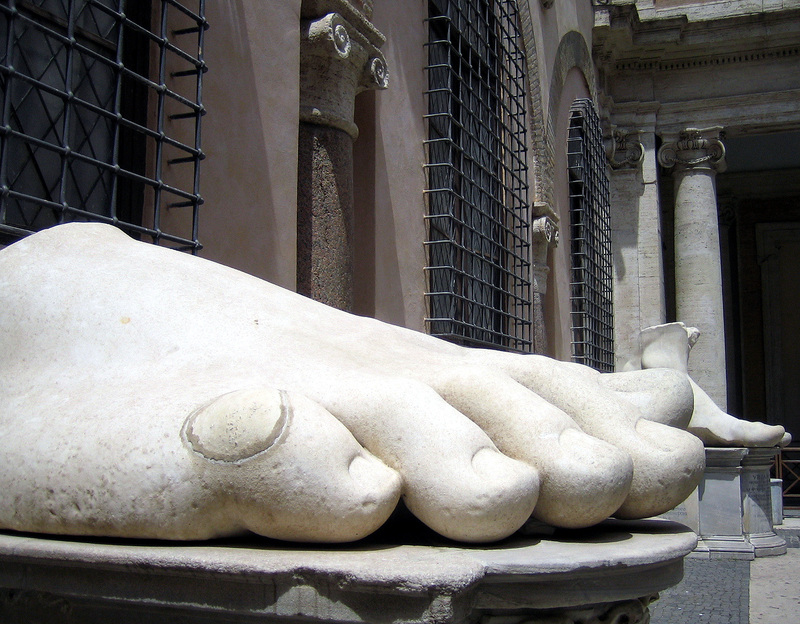 The Capitoline Museum, on the map of the Apple phone, is called the Hill Museum (MUSEO Capitolini). The pavilion, located on the top of the hill behind the Piazza Venezia, is divided into two main buildings, connected by underground passages, which can be visited only one way, from within a building, and from another building opposite. Ticket is divided into 2 tickets at the entrance of the same time ticket. The Capitoline museums are second to none! I was pleasantly surprised by the variety of torsos and wonderful frescoes, as well as, of course, by Marcus Aurelius. During my wanderings I realized that among the various paintings one among all stood out on others ... well Yes, that's him, the famous "fortune teller", a work by Michelangelo merisi da CARAVAGGIO, or more commonly known as! How wonderful, I wonder! Beautiful and fascinating museum. I would definitely recommend using the optional video tour. It's well worth its money. The museum is a must-see in Rome for me as a historian. I think the museum did a great job of making the town's history come to life. Sometimes the route from the video tour is a bit vague, though. The museum would do well to make this clearer. This amazing museum actually has two sides connected by underground areas that show some amazing examples of classical Roman art. There is also a wonderful view looking out over the Forum. The Sculpture is outstanding. Every day, we help thousands of travelers plan great vacations. Here are some tips on how to use your Listing Page to attract more travelers to your business - Musei Capitolini. Promote your permanent link - https://www.inspirock.com/italy/rome/musei-capitolini-a37263017 - on your website, your blog, and social media. When a traveler builds a plan from this page, the itinerary automatically includes Musei Capitolini. This is a great way for travelers looking for a great vacation in your city or country to also experience Musei Capitolini. Promoting your link also lets your audience know that you are featured on a rapidly growing travel site. 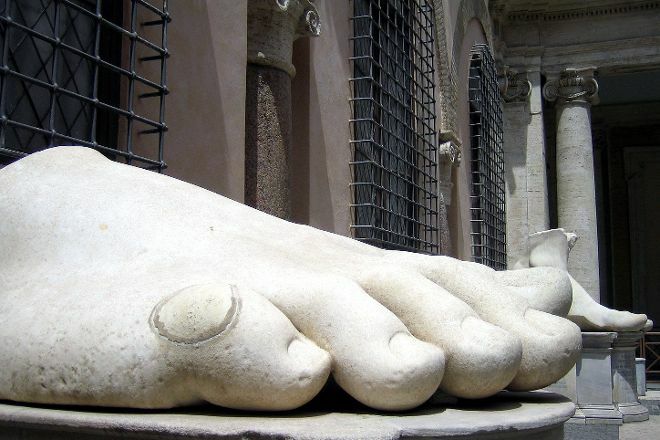 In addition, the more this page is used, the more we will promote Musei Capitolini to other Inspirock users. For best results, use the customized Trip Planning Widget for Musei Capitolini on your website. It has all the advantages mentioned above, plus users to your site can conveniently access it directly on your site. Visitors to your site will appreciate you offering them help with planning their vacation. Setting this up takes just a few minutes - Click here for instructions.